Skechers Equalizer Persistent Slip-on Sneakers, which you can purchase here, are the overall best walking shoes for overweight walkers in this list. The cushioning is up to the standard, giving a wearer the comfort and flexibility to get through the day. Since the rubber outsoles provide good traction on different surface, you can expect a smooth footing between these shoes and the ground. I know what it means to be overweight because I have been there. While I wasn’t exactly as morbidly obese as explained in numerous studies, my body wasn’t anything close to an average person. And if there is one lesson that years of yoyo dieting and leading a sedentary life taught me, it is that you cannot eat junk and still maintain a perfect shape long term. Even when I changed my diet and took to walking for fitness, I wasn’t exactly sure that I would shed off the pounds that I had willingly gained from poor lifestyle choices. My consistency and my desire to achieve my fitness goals also brought with it so many lessons, one of which is that heavy people almost always struggle to walk. I’d like to believe that obesity has a solution, one of which is walking for physical fitness. In fact, if you make walking to different places your daily habit, you are highly likely to lose weight, gain shape, and improve your overall health over time. ​But even before you create a workout plan, it is important to choose the right footwear for this very exercise. What you need right now are walking shoes designed specifically for big people. 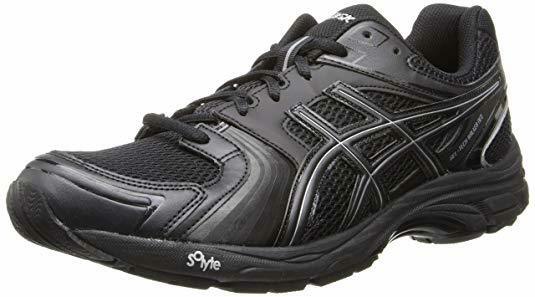 What Should I Consider Before Buying Shoes for Overweight Men and Women? If buying the right footwear for the right purpose were easy, everyone would be doing it with ease. Sifting through hundreds, if not thousands, of shoes to find what’s suitable for you isn’t easy. Whether you are a fat guy or a plus size woman, here then is how you choose the right footwear. The first thing you need to consider is the size. They shouldn’t be too big for your feet because they’ll make walking difficult. And they shouldn’t be too small because they might cause foot pain. Go for shoes that are a bit on the wide side. They have a sizeable toe box that let the toes spread out easily. Many people focus so much on the durability of the outsole and less on the type of sole itself. While this is fine for regular wearers, it is not exactly the same for heavy walkers. Being big means that you have extra weight, so your feet need to be comfortable enough to handle the pressure. Choose shoes with rubber outsoles because they make it easy for your feet to handle pressure from different surfaces. There is nothing worse like going for a walk only to go back home in sweaty and smelly feet. The odor is often pungent and disgusting. The smell comes about when you buy shoes that aren’t breathable enough. Unfortunately, shoes that don’t have breathable uppers aren’t worth the money. I can’t stress enough just how important cushioning is. A cushioning system is just one of the things that you cannot afford to ignore when choosing this kind of shoes. When a person walks, the feet absorb a lot of impact pressure from the ground than the rest of the body does. Wearing improperly cushioned shoe can therefore increase the chances of foot pain and risk of an injury. Properly cushioned shoes, on the other hand, helps your feet handle impact pressure with ease, which makes walking for fitness doable and more fun than you would otherwise expect. For an obese person, walking in heavy shoes is the same as adding pain to an existing injury. Heavy footwear only adds to your overall body weight. This makes walking more difficult, not to mention the possibility of feet ache after a short walk. It’s more than 100 years since Brooks Sports released its first shoes, with the Addiction Walker taking a top spot in the brand’s latest walking shoes series. The pair is a unique combination of design and comfort. And while I am more than willing to admit that shoes by Brooks aren’t close to as fashionable as you would wish, they serve their very purpose nonetheless. 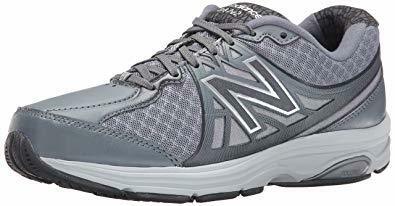 Designed to last for long, even with daily aggressive use, this shoe features just the right manufacturing technologies that make them ideal for heavy men and obese women. A slip-resistant rubber compound makes the outsole. Since the material is less subject to wear and tear, the shoe can stand up to vigorous every day walk on rough surfaces, unfriendly roads, and hard pavements. The MC Pod construction, a denser groove at the forefoot, boosts the contact between a foot and the ground to provide stability and balance. The BioMoGo DNA platform, commonly described as biodegradable foam that protect the foot from excessive force, making these shoes ideal for an overweight female and a heavy male. Built right into the midsole, the platform adds to the cushioning to give you the comfort you need to walk better. It also absorbs shock to give you an outstanding walking experience throughout the day. Propet has established a very strong brand name in the market, especially for designing shoes that can stand up to just about any foot problem. Take their Pedwalker 3 Oxford, for example. They are among the most comfortable options for wearers that struggle with swollen feet, an ailment often caused by health problems, lifestyle choices, foot injuries, and regular use of low quality shoes. 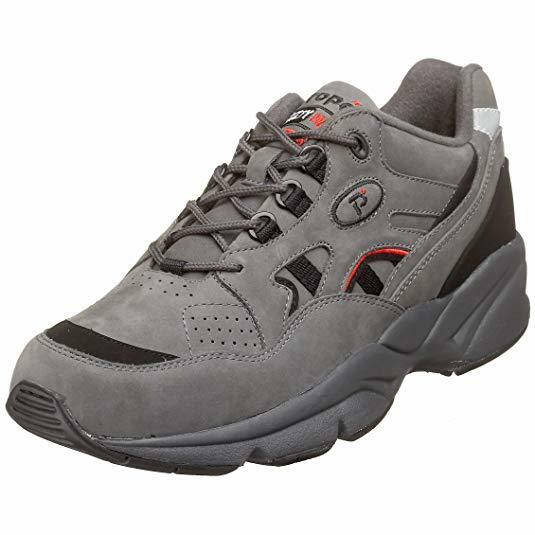 The Propet Stability Walker Sneakers are among the brand’s most recommend health shoes. 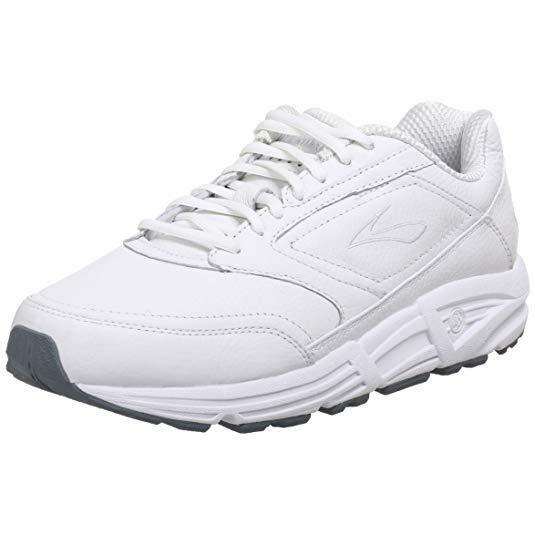 Like the Pedwalker 3 Oxford, they are ideal for obese people because they keep the feet pain and stress free. Now, the brand’s commercial advertisement states that these ones can last up to 1,000 miles of walking. But that’s statement is far off from the reality of things. I am a long distance walker. And if shoes like Saucony Echelon LE2 didn’t exist, I’m sure I’d repeatedly suffer from foot pain. ​Known as the most comfortable go-to walking shoes in the market, especially for their cushioning and feet support, the pair can give you an effortless and painless walking experience for sure. ​The outsole is made of the brand's iBR+ technology, a material that’s 30% lighter than conventional rubber. Not only does this ensure that the midsole is abrasion free, it also provide more cushioning for comfort and easy movement. The brand employs the XT-900 material to enhance the durability of the outsole and to provide sufficient traction on different trails. The midsole features a shock absorbing SRC Impact Zone and a lighter and durable PWRGRID compound foam, which help to manage impact from different surfaces. Perhaps the biggest problem with Saucony Echelon LE2 is size. The pair fails to fit well for many wearers, hence not a good option for everyone. Skechers brand designs some really good shoes for the market. 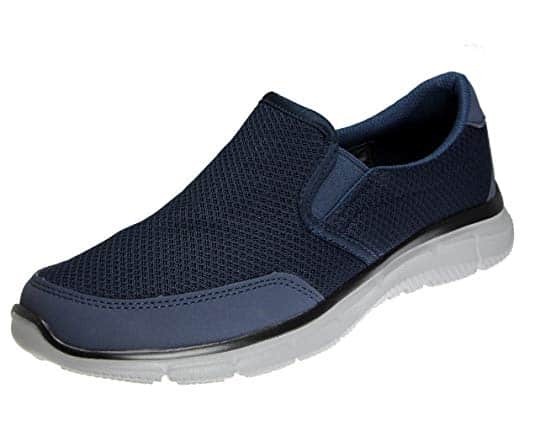 And, the Equalizer Persistent Slip-on Sneakers for men and women are a good example. Since the pair is comfortable, lightweight, and properly cushioned, it gives a wearer the comfort they need for a good walking experience throughout the day. Designed to provide sufficient traction on different surfaces, the rubber outsoles ensure a smooth contact between your feet and the ground. The elastic fabric expands easily to accommodate feet and even adds to the overall comfort of the pair. ​The upper mesh and breathable synthetic allow air to circulate around your feet, leaving no room for sweat to build up. 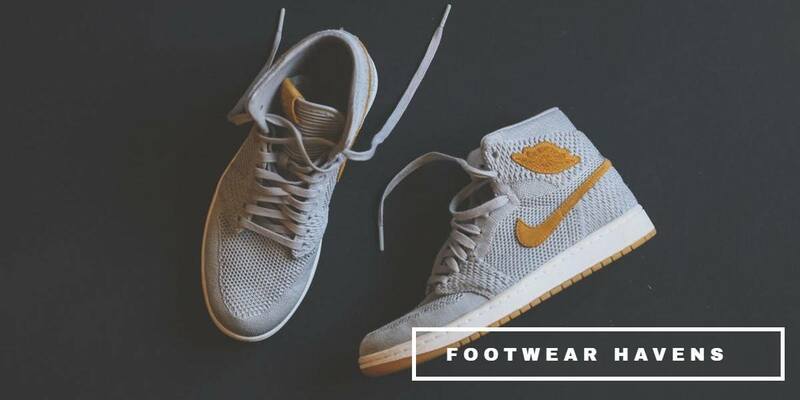 Since your foot stays ventilated throughout the walking periods, thanks to the open weave mesh, you can go about your daily business without worrying about foot odor. New Balance 990v4 is a leather/fabric blend that features an extra large width to support wearers with wide feet. This version has additional room in the heal area and forefoot that ease pressure on toes and give the back of the foot space respectively. Since the toe room is a bit larger, you are less susceptible to foot illnesses like plantar fasciitis. If you are a keen observer, who thoroughly inspects shoes before buying, you will notice that the brand hasn’t modified the midfoot area of this version. This shouldn’t be a problem because it conforms to the foot, giving it a tight center fit for an outstanding walking experience. 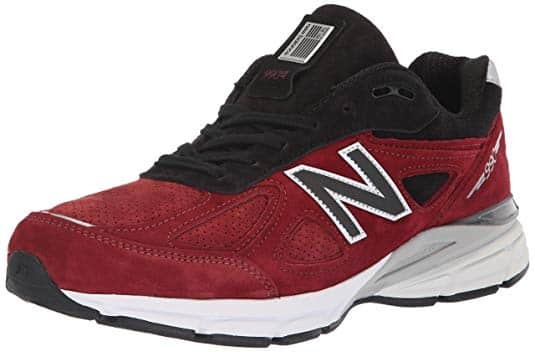 Although the flat outsole may not be the biggest selling point of New Balance 990v4, it makes traversing flat ground easier compared to many brands. The ABZORB and ACTEVA technologies, together with the blown rubber cushioning, offer a good grip and traction and absorb shock from unfriendly trails. ​Weight is a key factor that New Balance doesn’t take for granted, which is why they made sure that the 990v4 is as lightweight as possible. In fact, this version combines a number of high-tech materials without putting any burden on a wearer’s feet. 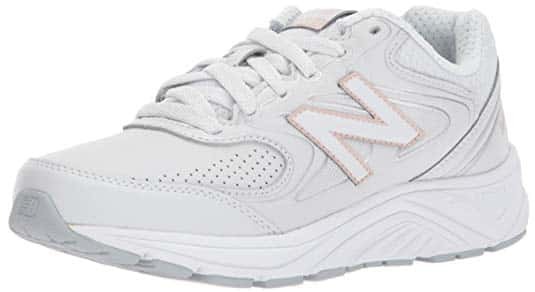 Maybe the New Balance MW411v2 doesn’t come close to what you would refer to as fashion footwear. But, they are among the most cushioned options that fit many users quite well. Weighing just 12 oz, this is one of the most lightweight pairs in the brand’s collection. Designed with durability in mind, this pair should last for at least a year before you itch for an upgrade. The company uses their ABZORB technology on the heel and forefoot to ensure maximum shock absorption on rough trails. The perforated upper and breathable mesh lining allow air to circulate in and out to keep the feet cool, dry, and free from odor. Although you are unlikely to use the two extra eyelets on the collar, they are ideal just in case you need more snug. It’s not that Skechers has never been interested in adding cutting-edge fashion to its shoe line. The brand’s main goal has always been to design shoes that fit and serve their purpose. The company still pays attention to style, but not as heavily as Adidas and New Balance do. Performance Go Walk 4, a pair that features superior comfort and support over looks and style, is an ideal choice for an obese man and a plus size woman. The flat outsole provides comfort and flexibility by evenly spreading out energy and weight from each step you take. The even distribution not only makes walking easy but also helps to protect your feet from injuries. 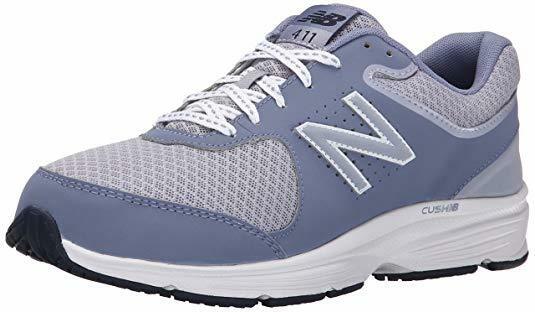 Known for its innovation and cutting-edge technology, New Balance takes the future of walking shoes design and puts it right into our current life. For women that love to try a variety of pairs from the same company, the WW847v2 is a good option to add to a shoe rack. 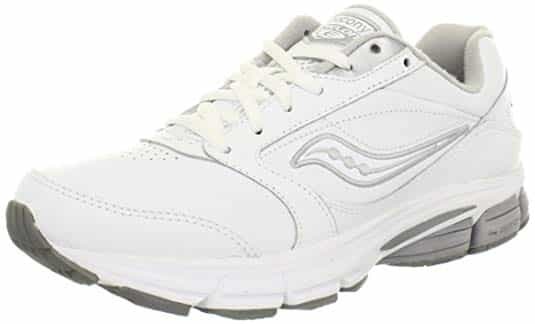 For the price, you get yourself a stable, flexible, well-cushioned tennis pair that you can walk in throughout the day. ​Built on the company’s s﻿﻿traight SL-2 last technology, this version is suitable for normal as well as high arches. Just like the WW840 version, the inserts are easy to remove and replace. Designed with people that have overpronation in mind, this model features a medial and TPU post, a strike path outsole, and a graphite rollbar that easily corrects a wearer’s gait. Featuring a dry fabric, the seamless liner helps with air circulation throughout use, easily wicking out moisture and protecting the foot from blisters. You already know by now that the New Balance is a beast when it comes to designing walking shoes for plus size women. And the WW840 is just one of the unique examples. For women, color is important. That’s why New Balance markets this version in a variety of combinations. New Balance WW840 has a narrow heel that provides stability and good ankle support and the wider forefoot easily accommodates a wider foot. The leather upper is a breathable section, with perforations and vents, which allows air to circulate in and out of the shoe to keep your foot cool, dry, and odor free. The company’s popular ABZORB material makes the midsole. Known for its flexibility and cushioning, the technology provides maximum comfort during movement. The Asics we know today started back in 1977. 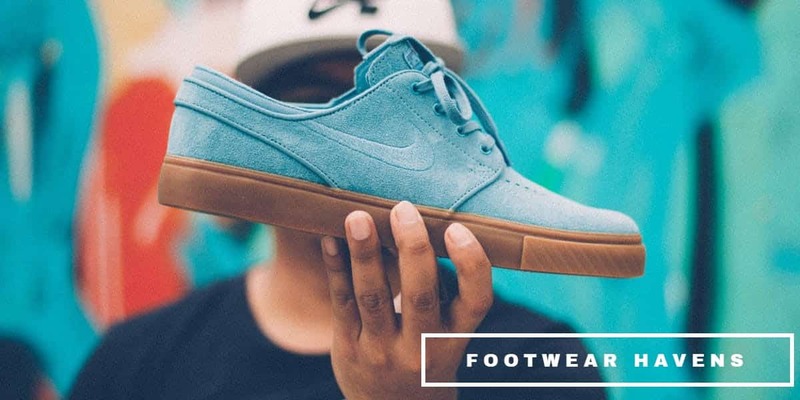 Over the years, the company has grown to become a popular brand in the footwear market. 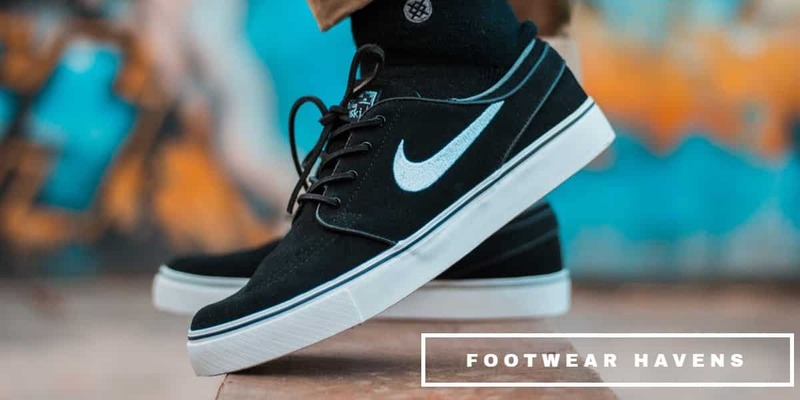 Designed with style and durability in mind, this shoe takes a top spot in shoe options that you can walk in every single day. The lightweight medial window, which is free from hard fabric, easily accommodates and remains easy on bunion feet during every walk. Gel-tech Neo 4 features a breathable mesh fabric that enhances the flow of air in and out of the shoes. This enhances breathability. The padded collar and tongue, which feel soft on the upper part of your foot, makes the Neo 4 even more comfortable. A lightweight rubber material makes the outsole of the Gel-tech Neo 4, so you can move around in these without feeling the weight. The following are some of the most commonly asked questions about this topic. Running is completely different from walking, and so are the shoes. In real sense, running is a highly intense, high-impact exercise that puts up to three times your body’s weight on your feet. Since the movement is uneven, the exercise exerts a higher amount of pressure against the heels from the time you start running to the moment you stop. This explains why running shoes absorb more impact pressure from the ground. Walking, on the other hand, isn’t as intense as running. There is generally a uniform distribution of body’s weight from heels to toes. So you only need to hold your feet in perfect position to walk with ease. Since the two exercises are completely different from each other, it is best to choose specific shoes so that you can get the most out of the pair that you bring home with you. 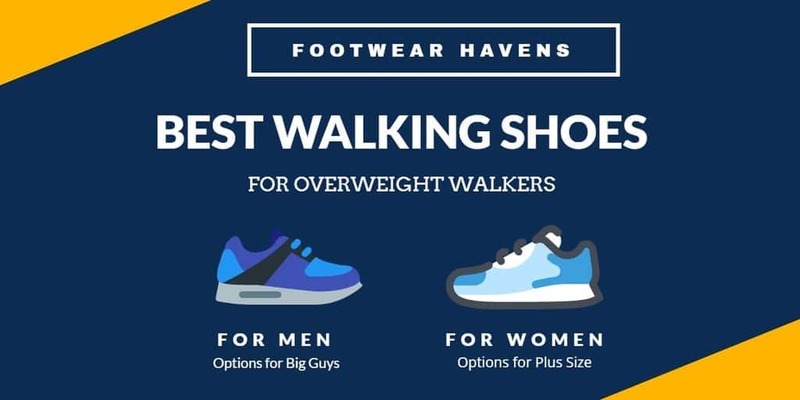 ​What do shoes for overweight walkers look like? A pair of shoe that’s good enough for someone who has a lot of weight has a few characteristics that completely differentiate them from standard walking shoes. The pair has to be wide enough to provide sufficient foot room for large feet and the cushioning must be up to the standard to provide comfort and stability when walking. Make sure the shoes are lightweight and their outsole made of rubber. Rubber soles are good for shock absorption and they help to minimize stress on joints when walking. Some heavy walkers like to wear socks, others prefer not to. The most important thing to remember is that the shoes you buy must be as comfortable and flexible as possible. Socks only add a little comfort to your feet. At the end of the day, though, whether or not you wear socks with the shoes depends on what makes you comfortable. How long will these shoes last? First, it is important to invest in shoes with durable outsoles and a good cushioning system. Since shoes with durable outsole can easily withstand wear and tear, they are highly likely to last at least a year. However, the durability of the sole isn’t the only factor that determines how long a pair of shoes will last. You also need to make sure that the mesh and stitching are abrasion and tear resistant. Of course, it is easy to know when to replace a pair of shoes. Even if the pair has thick insoles, they’ll definitely wear out over time. Therefore, it’s best if you replace them after every six month. ​Also, check the tread, the upper, and the inner lining for signs of wear and tear. If you see any, it might be a strong suggestion that you need to replace the shoes. A heavy person can walk for a long distance the same way an individual with an average body can. According to this article, walking for fitness is a step in the right direction.